Akota Paribahan mainly a transportation service is based in Bogra. The owner of the Akota Paribahan is the Union of the Owners of some buses. 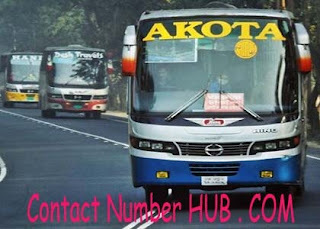 Akota Paribahan is a large transport company. They have the largest number of bus services in the North Bengal to Mohakhali route. But, they have no AC chair coaches. All of their buses are non-AC chair coaches till date. These are all about Akota Paribahan all detail information. Stay connected with us for the further update about this service. If you have any question or inquiries, please contact us or comment in the following comment box, we shall try to resolve your inquiries as soon as possible. And finally thanks to stay with us to read the piece of writing with persistence. May your bus journey be safe and peaceful!